A smartphone protective case manufacturer gives us a full look at some OnePlus 6 renders. These are not official images, but are renders based on official design specs for the OnePlus 6. All in all, there’s no real surprises here, but does give us a good speculative look at the full device, front and back. As of now, we only have two official images of the OnePlus 6: the one given to The Verge by Carl Pei himself and the one tweeted out yesterday by the official OnePlus Twitter account. In both photos, we don’t get a full look at the device. But we do have something close to an official image via smartphone case-maker Olixar. 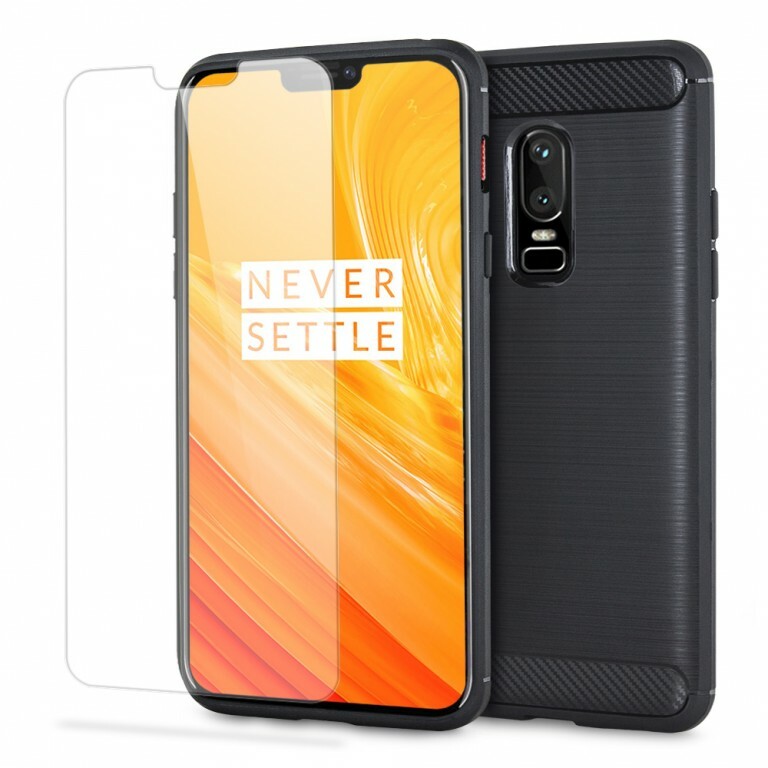 The company put up its OnePlus 6 cases for pre-order today, and accompanying the case images are renders of the OnePlus 6, both front and back. Now, keep in mind, these are renders, not photos. Yes, the renders are based off official CAD files of the device, and will thus likely be pretty accurate. But until OnePlus officially unveils the OnePlus 6 sometime in the coming weeks, these images should be considered unofficial and therefore highly suspect. The front of the renders depicts a phone that is almost all-screen. Yes, there’s a bit of a chin bezel, but other than the notch at the top of the display it looks like the OnePlus 6 is essentially just screen and nothing else. On the sides of the device, we can clearly see that the alert slider was moved from the left side to the right, and the volume rocker was moved up a bit as compared to the OnePlus 5T. On the back, we have a vertically aligned dual-camera setup with flash directly underneath. Under that is an oval fingerprint sensor and the OnePlus logo. The whole back looks very similar to the rear of the Samsung Galaxy S9, which lines up nicely with the leaked image we saw a few weeks ago. All in all, there’s not too much to report here. Other than some deep specs, we already know all the important things about the OnePlus 6, like the fact that it will have 6GB of RAM, 128GB of storage, and run on a Snapdragon 845 (confirmed by Carl Pei). We also know it will have a notch (once again, confirmed by Pei), and know the alert slider was moved (confirmed from official images). When OnePlus does finally get around to unveiling the OnePlus 6, there won’t be too much to reveal. What do you think? Do these renders get you more excited for the OnePlus 6, less excited, or just make you shrug? Let us know in the comments!